With the hurricane season opening on Saturday, June 1st, the National Emergency Management Organization (NEMO) has once again set out to prepare the Belizean community in case of an emergency. This year, NEMO Week is observed under the theme, “Reducing the threat from Climate Change, Disaster preparedness begins with you” and took place during the week of May 26th to June 1st. The purpose of NEMO week is to bring awareness to the public and stress the importance of disaster preparation. The week included a Morning Talk Show, school visits to handout materials on disaster preparedness, a game competition and a cleanup campaign. The week commenced with a day of prayers on Monday, May 26th. Members of all denominations from across town were invited to offer a special service for protection throughout the hurricane season. On Tuesday, May 28th Dennis Gonguez, Meteorology officer for the Belize Meteorology Center visited the San Pedro High School students to discuss climate changes and basic preparation methods in case of tropical storms and hurricanes. Gonguez explained to the students how pollution affects climate drastically and leads to the formation of larger storms. He also explained how global warming is affecting the intensity of hurricanes. The power of a hurricane depends on how rapidly water can evaporate from the ocean, transferring heat to the atmosphere, which converts the transfer of heat into wind energy. As the temperature of the water rises it becomes easier for hurricanes to be created and to be fueled, therefore create catastrophically large storms. The students also learned how the community can help reduce factors that lead to climate change. From simply not burning garbage to reducing the use of aerosols, we all play part in reducing the threats of climate change. 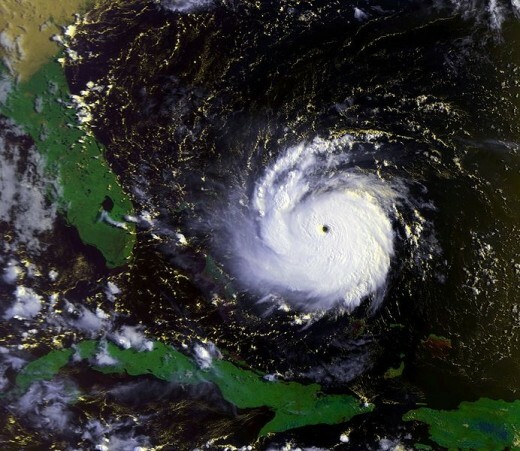 According to Gonguez, the Belize Meteorology Center has deemed 2013 to be a highly active hurricane season, with 14 storms predicted to develop in the Atlantic. Belize has been spared by several major storms in the past few years; Gonguez explained that the community should always be prepared since it only takes one storm to cause damage. “People should not get too comfortable with the hurricane outlook from the past years. You should always be ready and prepared in case of a storm. No one can really predict how strong a storm will become or what course it will take. It only takes one storm to destroy a community and since San Pedro is an island you should to be more prepared and have evasive actions in case of storm threats,” said Gonguez. Winston Franklin Panton, active member of the San Pedro community and weather enthusiast, also spoke about the importance of hurricane preparedness. “We should not wait to see what happens we should start preparing from now, like stocking up on imperishable canned food, water and sanitary products. We also should make plans of evacuation since this island is not the safest during hurricanes. It is the little steps that can save lives,” stated Panton. The San Pedro community is urged to make the necessary preparations to safeguard valuable assets and documents, pets and themselves during a storm. NEMO will continue informing people about hurricane tips and safety measures throughout hurricane season. It is important to listen to local news station for the most recent and relevant weather forecasts. For more information about hurricane preparedness or NEMO safety training, feel free to contact Jeromey Timrose Augustin, district emergency coordinators for Belize Rural South at telephone number 206-2891 or cell number 600-8672/666-7476.